Although it occurs on rare occasions, the birth of a two-headed calf is a rare occurrence for cattlemen. 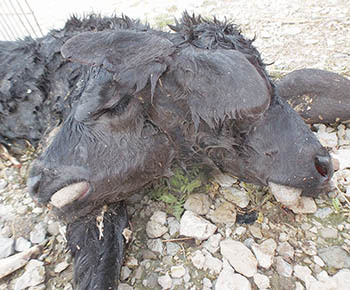 This two-headed calf was born dead at the Brugger farm near Akron on April 4. The calf had only one neck.